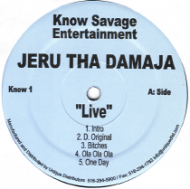 Rare 2LP of Jeru! Still Sealed!!! Jeru Da Damaja - Me Or The Papes from GodsConnect2 on Vimeo.